I've seen this or atleast similar questions being asked before but I thought I should ask anyway. 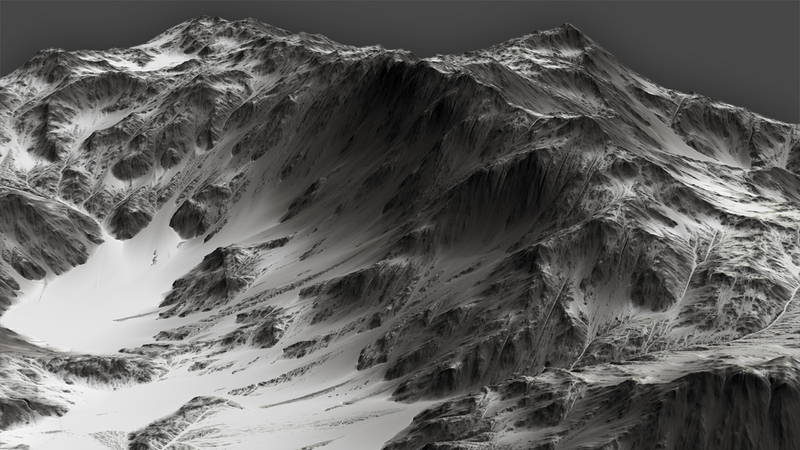 I've started messing around with the trial edition of WM and my mission is to create snow covered mountains, alp style. I hope I'm being clear with my intentions. It doesn't soley have to rely on the snow device, any kind of "cheat" solution would do just fine. a bit more information would help. How are you currently getting your snow cover? What does the relevant part of your device network look like? In general, you will probably have the most success in using Selectors to control where the Snow device deposits or evaporates snow from. For example, in your second image, the bare vs fully covered mountain sides looks like its probably from sun exposure/shade -- you can simulate this by using a Select Angle device piped into the Evaporation Intensity to make the snow linger in the shade and evaporate quicker on the sun-side.